Leadville, CO. The highest city in the US. My entire introduction to the world of ultrarunning was the book Born to Run, back in 2009. 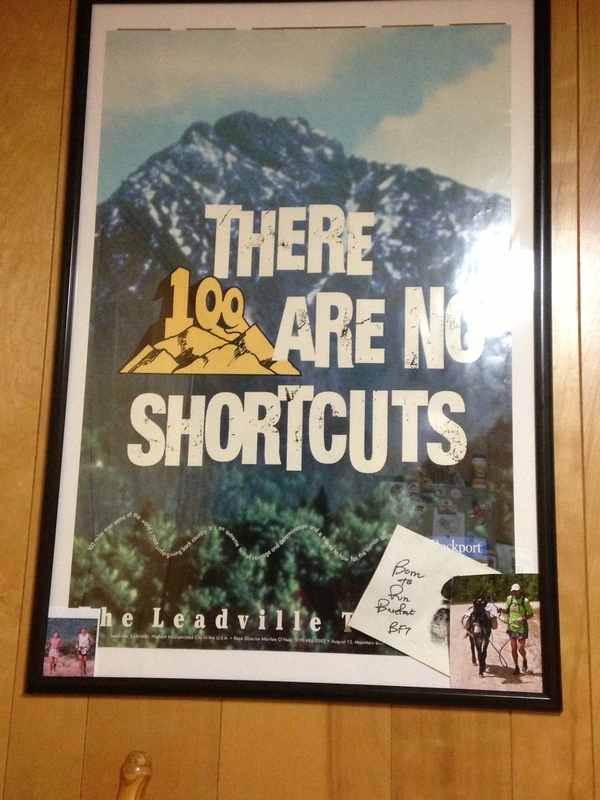 So, the very first 100 mile race I ever read about was the Leadville 100. The story of Ann Trason and the race against the Tarahumara had captivated me. I had just driven into a town steeped in ultrarunning history. To say that I was excited was a serious understatement. I noticed my good friend, fellow Mas Loco and Ultra Caballo Blanco RD, Maria “La Mariposa Apache” Walton, was still awake and posting on Facebook. 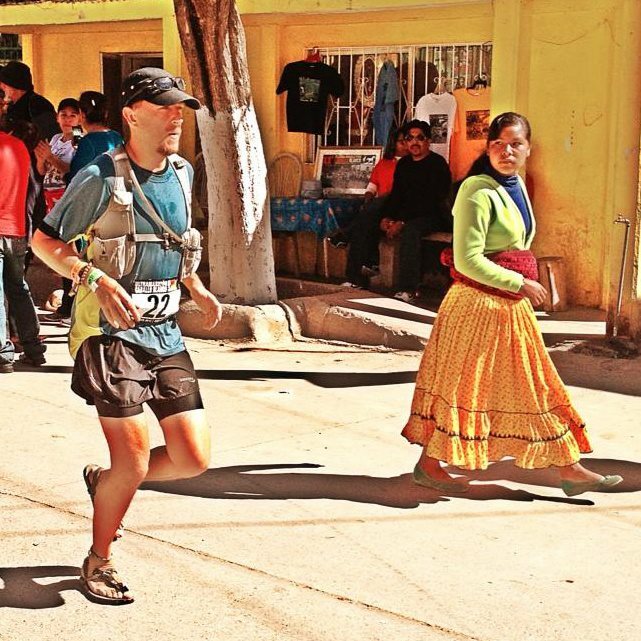 Mas Locos are the runners who have traveled to the Copper Canyons to run with the Tarahumara in the Ultra Caballo Blanco (formerly the Copper Canyon Ultra Marathon). Most everyone who runs is given an animal name that represents who they are. She apparently was having trouble falling asleep. She would being crewing for another Mas Loco and Luna Sandals runner, Tyler “El Tarzano” Tomasello. Sweet. I wouldn’t have to sleep in my car somewhere and worry about being harrased by local police for loitering or whatever. 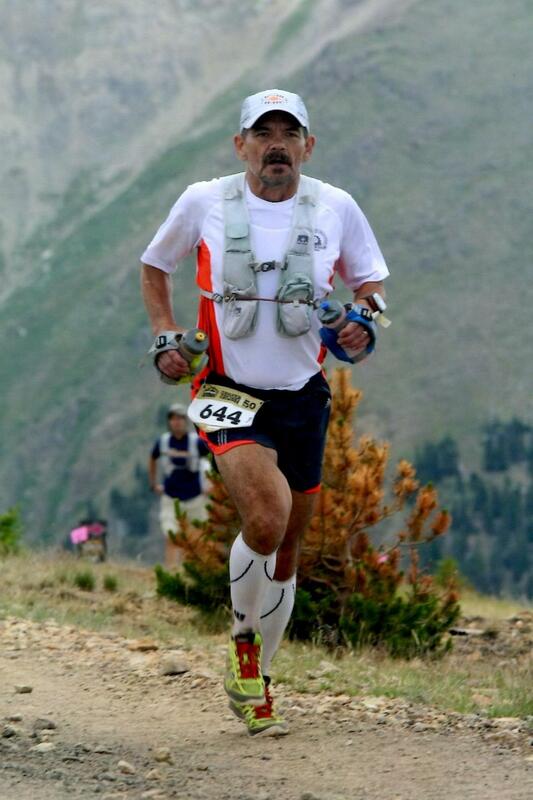 Greg Labbe is a veteran of the Leadville Trail 100 and has been opening his home for years for a lot of the Mas Locos who have come to run Leadville. Micah True would crash here whenever he was in town, choosing to sleep in the “Presidential Suite,” which is basically a shed with electricity and a mattress, no heat or A/C. I met Maria in the parking lot by the house and she showed me inside. Her and Jess Soco, another Mas Loco, were staying in the RV. Other runners were camped out in the garage, others were crowded in the upstairs bedroom and still more in campers and vans in the driveway. I ate my dinner as quietly as I could in the kitchen and noticed an old race poster hanging on the wall. After eating half of the biggest calzone I’ve ever seen, I tucked in on a sofa in the RV. The race start was 4am. I set my alarm for 3am. It felt like I had barely closed my eyes before it went off. Unlike most times when I have to get up early (I am not typically a morning person), this time it wasn’t hard. I popped up, threw on my Luna Sandals and my new Salomon Minim Down jacket (thanks, Dad!) and walked inside the house to find a bunch of my friends already up and eating breakfast. Patrick Sweeney, who had somehow finagled his way into a LT100 entry, Tyler Tomasello, Mike Miller, Jess and Maria I’d seen a few months ago at Luis Escobar‘s Born to Run Ultra in Los Olivos, CA. as well as Jennifer Johnson Cline. My Canadian buddy, Flint, however, I hadn’t seen in over a year and a half and was pretty stoked to see him again. Tyler and Pat both run for Luna Sandals. Two of my favorite people, Pat and Maria, at BTR Ultra earlier this year. 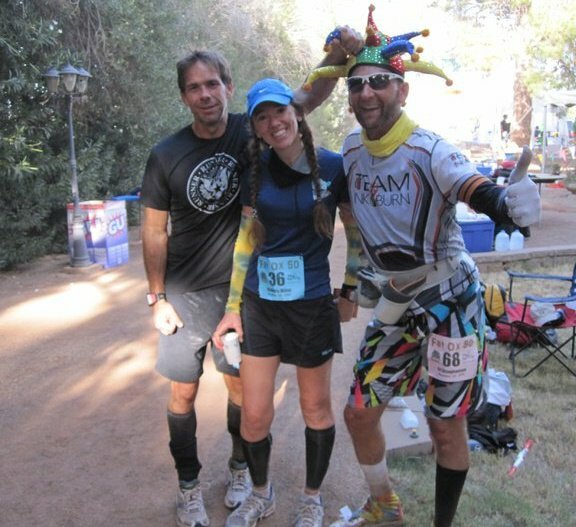 Left to Right: Scott Smuin of Luna Sandals, Mike Miller and Jess Soco, at the Born to Run Ultra earlier this year. Mas Locos at Born to Run. 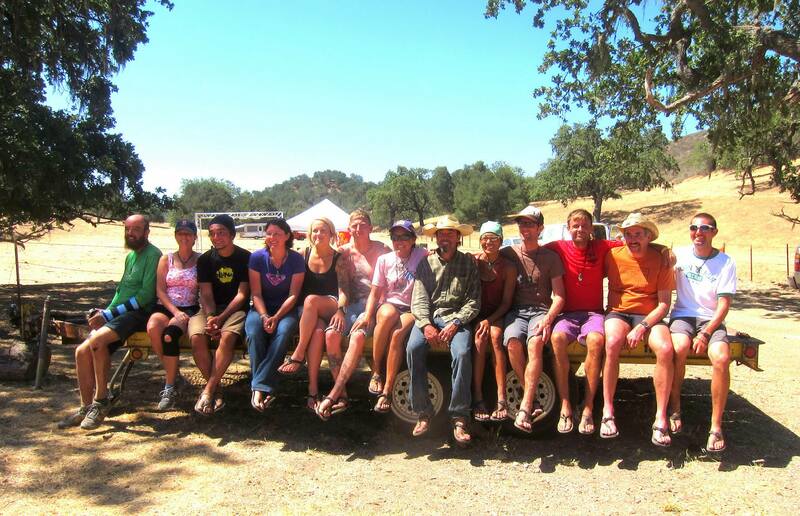 Left to Right: Jim, Dawn, Tyler, Sally, Stephanie and Shawn, Maria, Luis, Jess, Scott, Pat, Mike and myself. Dont let the Elvis Costume fool you. 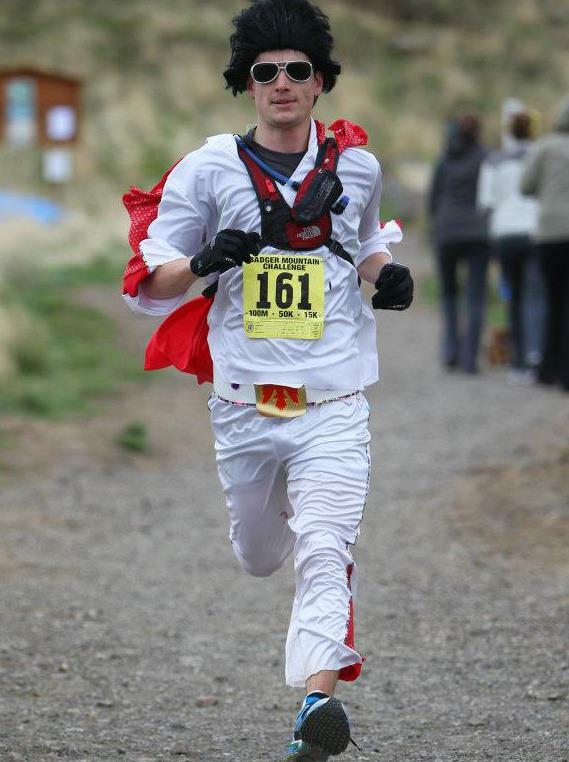 Ian can easily run a sub 3 hour marathon dressed like this. Sometimes as Spiderman. He also has a sub 13 hour 100 mile PR. 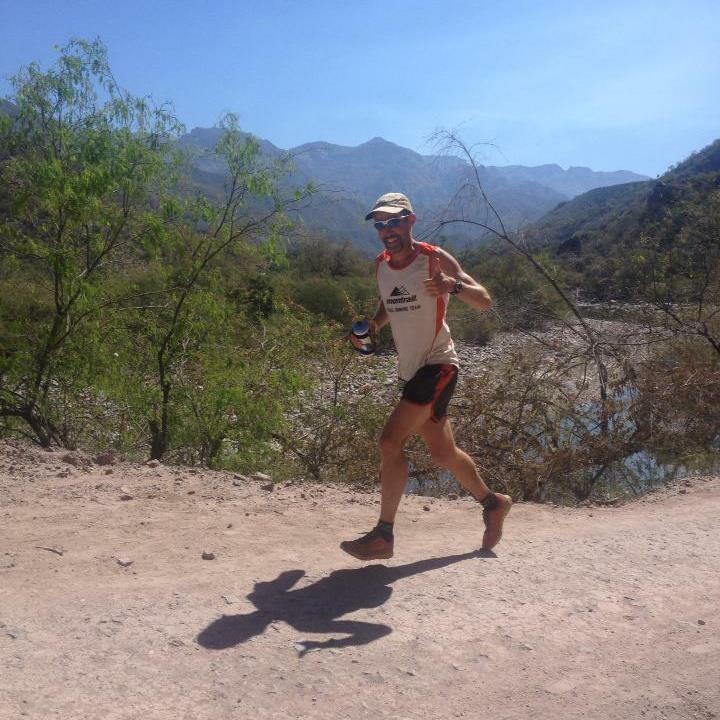 Sean at this years Ultra Caballo Blanco down in the Copper Canyons. Another Facebook friend I got to meet was Ed Thomas from South Dakota. Fun Fact: Ed’s son, Nick, is the lead singer for the band The Spill Canvas. Stolen from Ed’s fb page. Michael and Kimberly Miller from Arizona were also there. Michael, Kimberly and Ed Ettinghausen “The Jester.” Ed was also running Leadville. 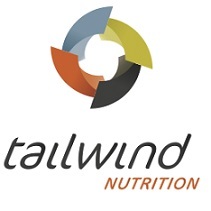 Sergio Radovcic, owner of FitFul and co-RD for Powerman Florida, at Badwater 135 this past July. Michelle (runner) and her husban, Kenny Matys (crew), of Atomic Climbing Holds. Michelle at the Speedgoat 50k this past July. Scott D’Angelo (crew) of Doghouse Performance Cycling Center in Boca Raton. 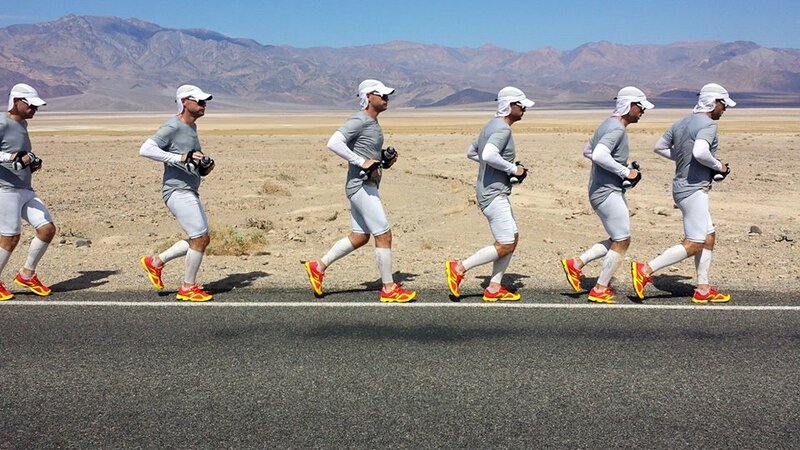 I had the privilege of crewing for Scott at the Badwater 135 last year. 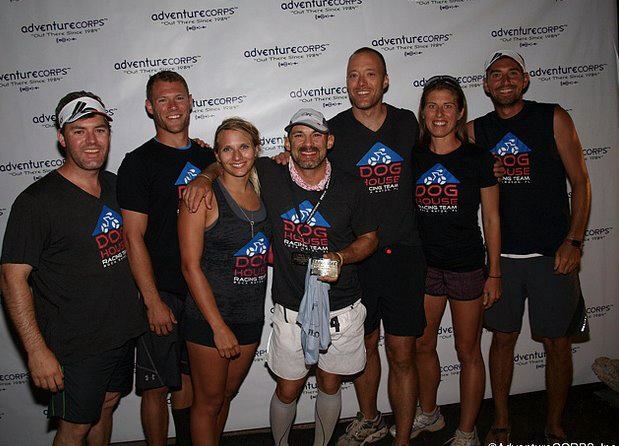 At the finish line, left to right: Albie, Angry Dan, Christina, Scott, Lane and Jen Vogel, myself. 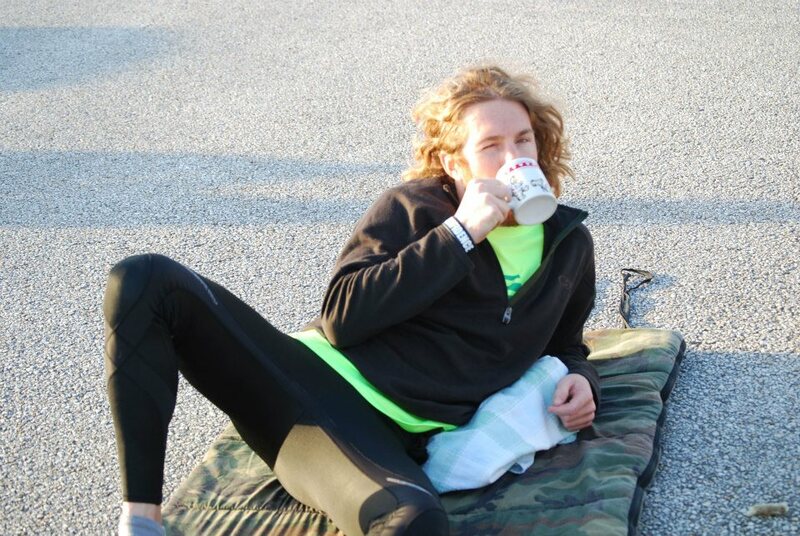 Eric CantStop Law (runner) from Fit2Run in Tampa, taking a break during FC100. I think he thought this was a calender shoot. 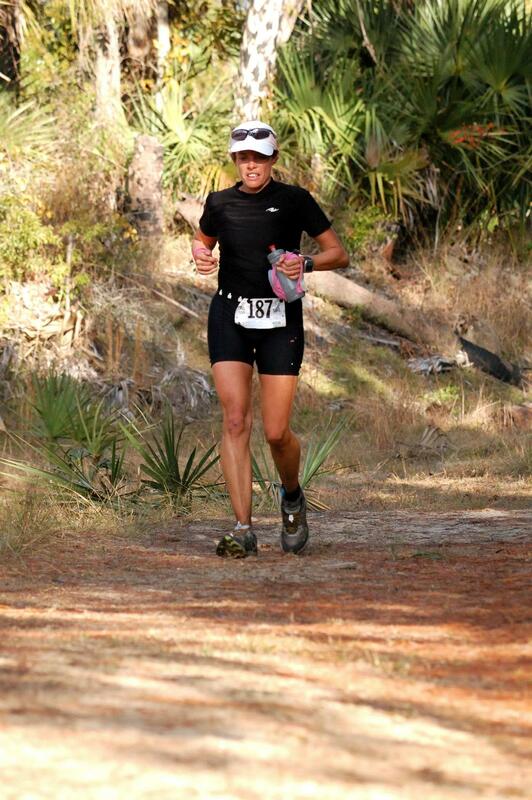 Tammie Wonning, crew for Eric law, at Ancient Oaks 100. Grant “Dingofish” Maughan volunteered at the FC100 earlier this year. 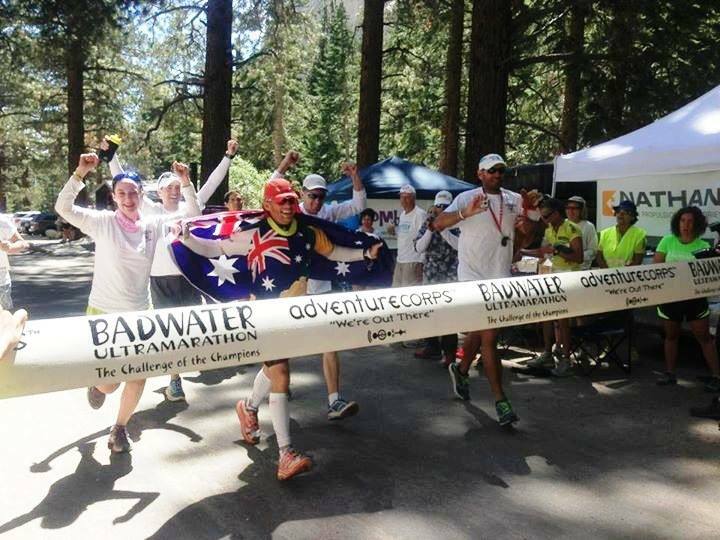 He ended up placing second at Badwater this past July. Zane Holscher (runner), RD for Destin 50 Beach Ultra and his dad, Larry who is an excellent photographer, would also be here. I never did run into them, unfortunately. 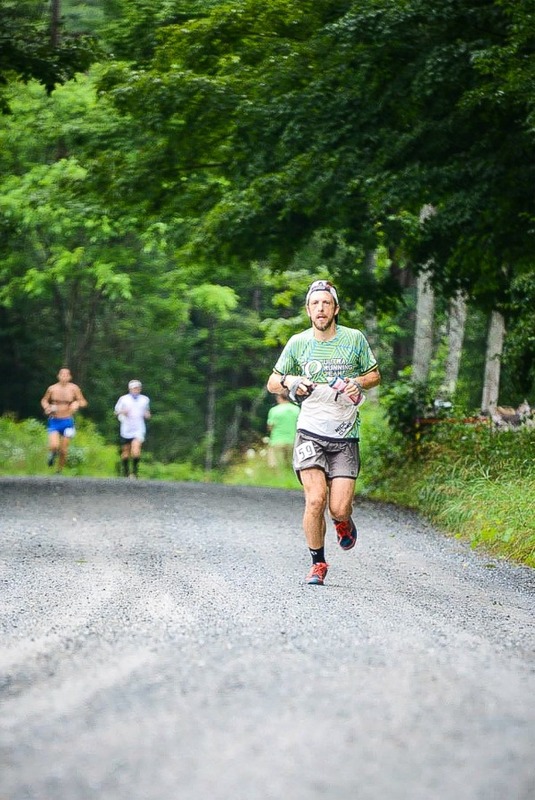 Matt Mahoney is an old school ultra runner from Florida, and race director of the Wickam Park 200 mile ultra, who is a veteran of both Hardrock and Leadville. 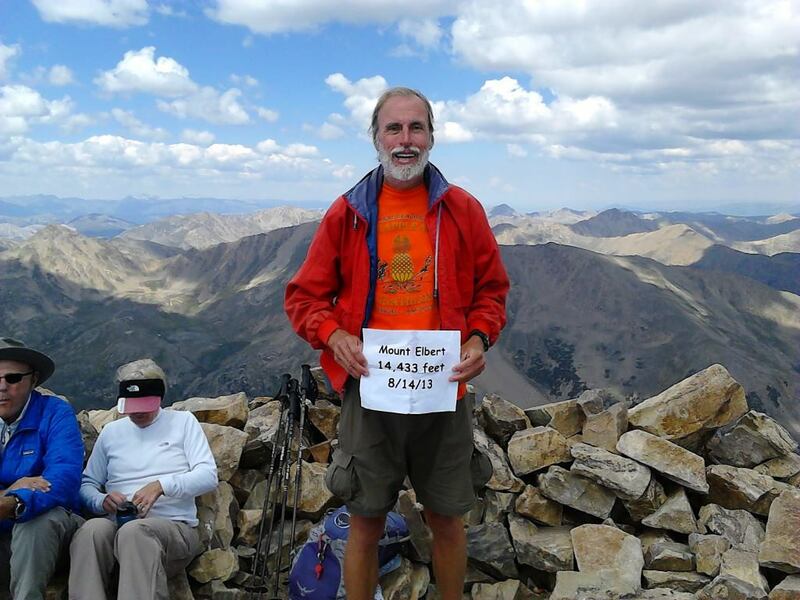 Matt on Colorado’s highest point, Mount Elbert. Stolen from his FB page. Ran into long time Facebook friend, SoCal Coyote, entertaining motivational speaker, coach and all around nice guy Jimmy Dean Freeman, who I usually call Yimmy, instead of Jimmy. Why? Because of the movie “The Whole Ten Yards.” In the film Bruce Willis plays a mob hitman named Jimmy “The Tulip” Teduski, whose mob boss father is from some European country where the J’s are pronounced as Y’s. So now I call anyone named Jimmy, Yimmy. Why? Because I’m a nerd. Was this a pointless tangent? Yes. 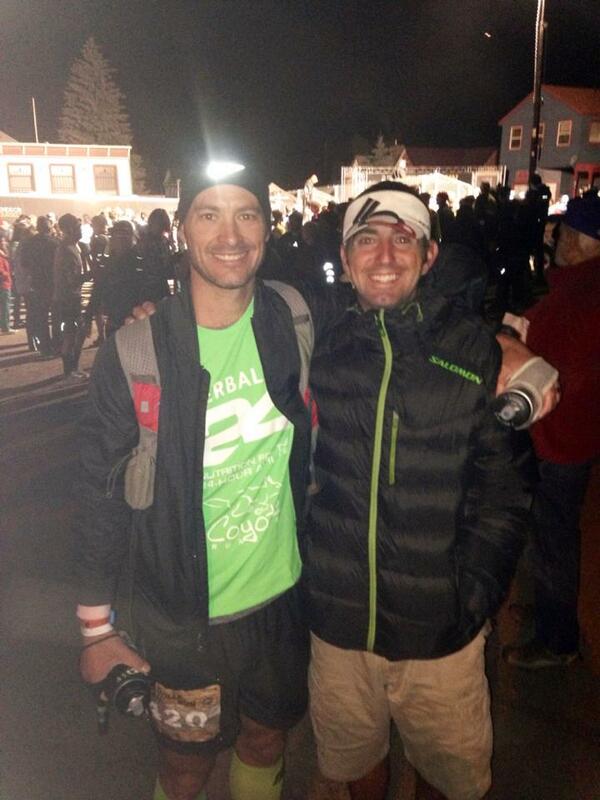 Yimmy about to tackle his first Leadville 100. 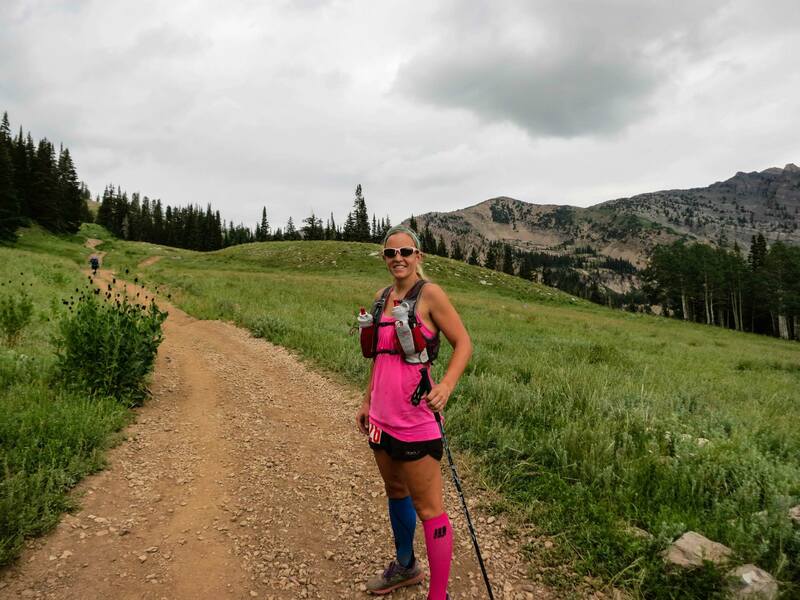 You can listen to Yimmy’s recollection of the race here on an episode of Trail Runner Nation podcast. There were plenty more people there, I’m sure that I knew and got to see, and didn’t see, but this post is already going to be really long and I will have to break it into several parts. I also have ADD and I’m getting lazy. Onward to the start! WAIT! Almost forgot that I met fellow Mas Loco, Scott Jurek! Viva Mas Locos! 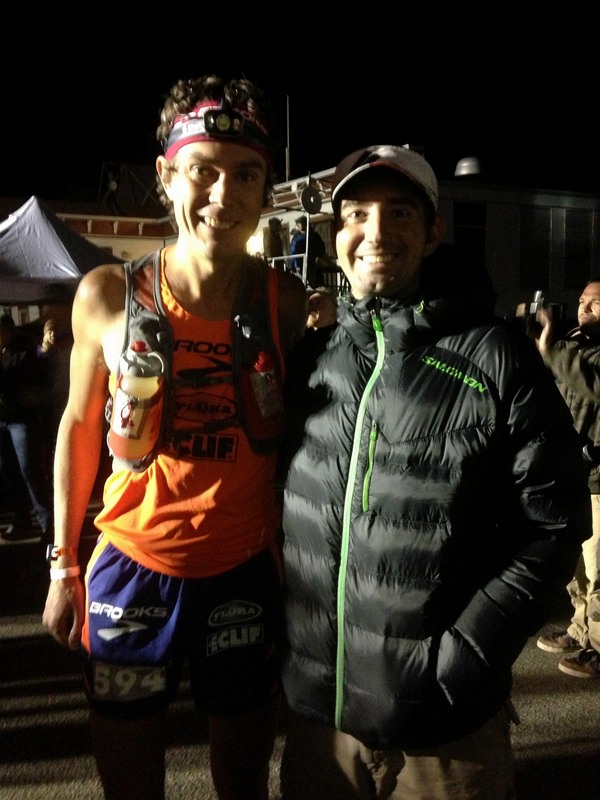 7 time Western States 100 winner, Scott Jurek. 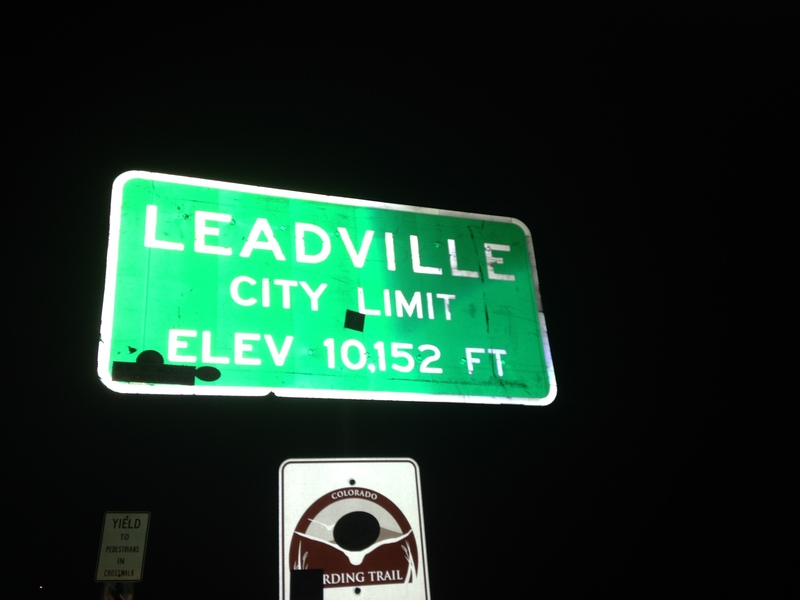 The Leadville Trail 100 was HUGE this year. 1200 people registered for the event, while somewhere between 900-1000 actually started. I have never been to an ultra with more than 350 runners. The atmosphere was awesome. It ended up being the longest start to any race I’ve been to.